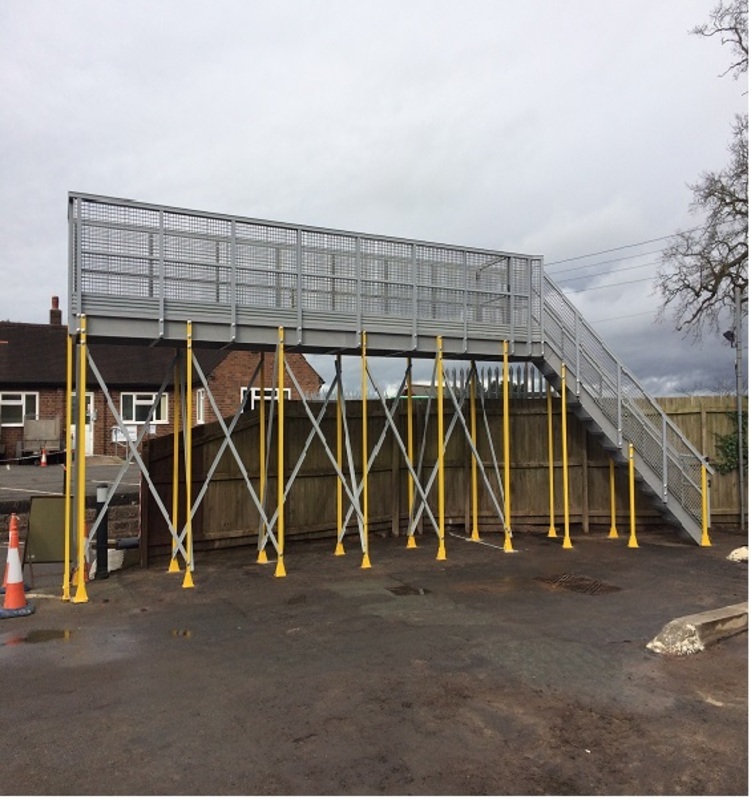 Background - A Busy gritter depot needed safe height access to wash down the lorry beds. Project - . 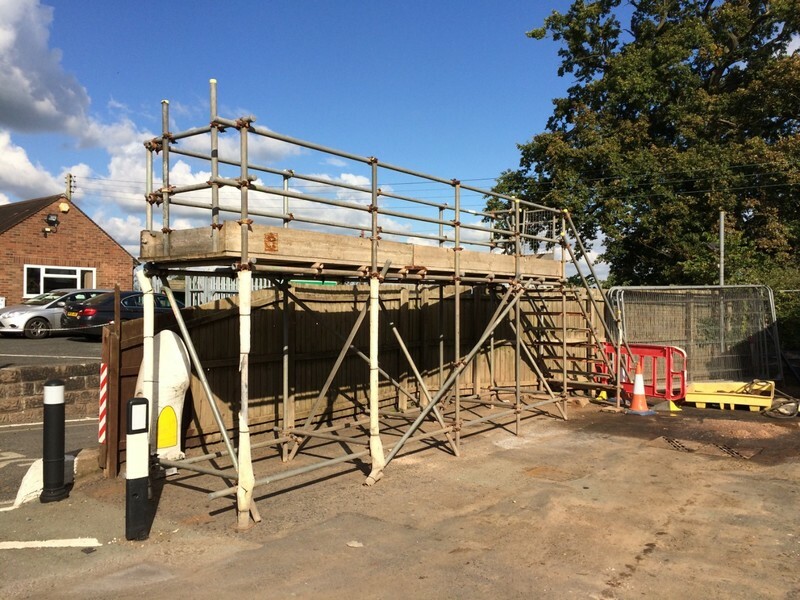 The project was to replace an existing platform and staircase made from scaffolding poles, but due to the corrosive nature of the Grit a corrosion-free material was required. 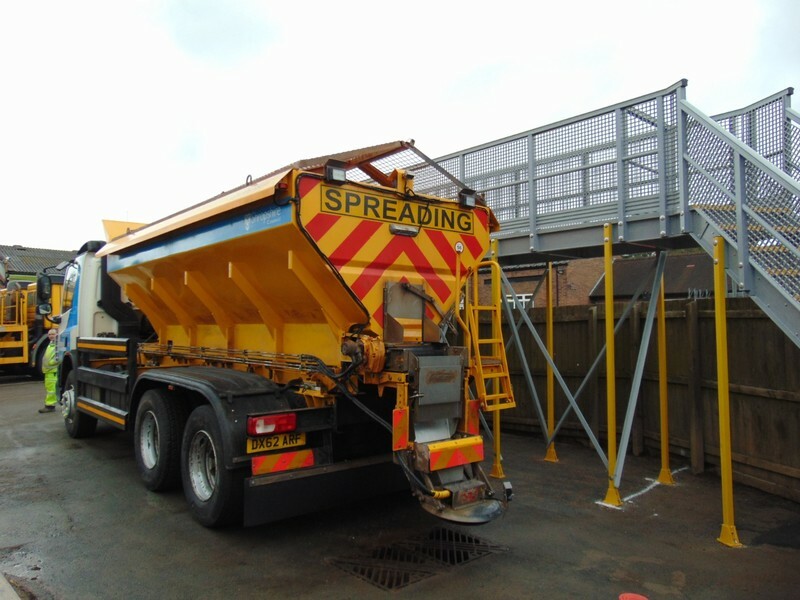 The Solution - DeckSafe Solutions were commissioned to design, fabricate and install a bespoke platform to provide safe access for operatives to ‘wash-down’ Gritter Lorries after each shift of road gritting during the Winter months.Our High-strength, GRP profiles and slip resistant grating was a perfect corrosion-free and safer alternative.